For any further information or examples of work please do not hesitate to contact me and I will be glad to share. Triangle Vodka was a packaging experiment exploring how you could sell a product with little to no branding. 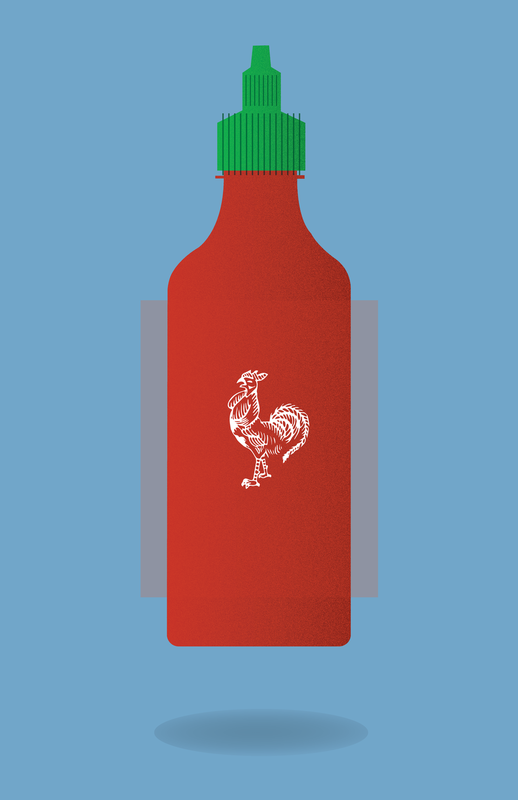 My aim was to create a purchasing experience where the product stood out in the sea of crystal glass bottles. What I ended up with as sculptural packaging that in itself was the branding. Inside it house an elegant and simple vessel. Organic Meadow was a fourth-year packaging project I did with Sarah Rahbary. Our goal was to not only re-brand the company but to deliver a striking new package design. We designed a carton that still worked within shipping constraints but utilised an angular design to catch the buyer’s attention with bright, bold but simple design. The Corner is a Toronto-based band who commissioned me to make various posters for local shows and international tours. Beyond this I helped with the design of their website and created content for social media. The Speed River Track & Field Festival is an annual competition held in Guelph, Canada where future, current and former Olympians compete in hopes of representing their country. 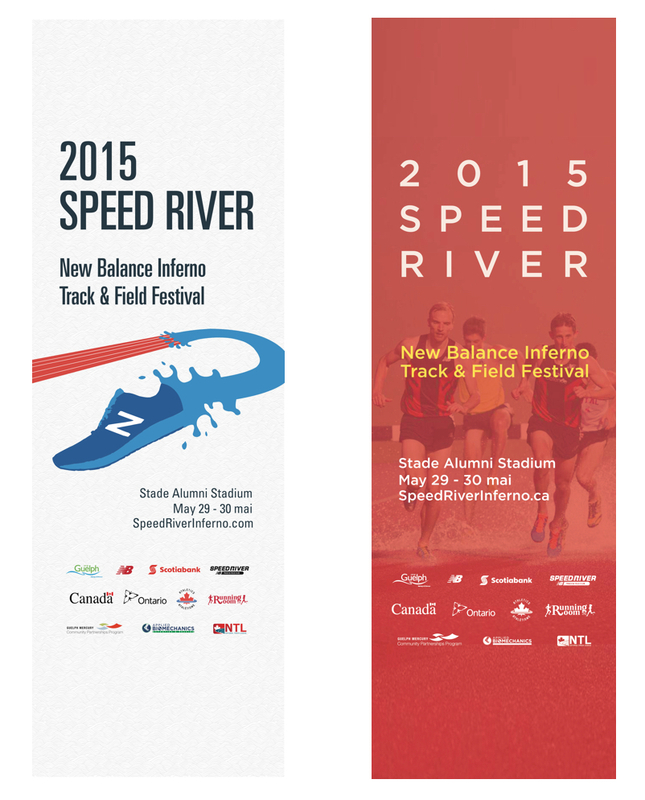 I was commissioned to make two banners that were hung along the streets of Guelph before and during the event. 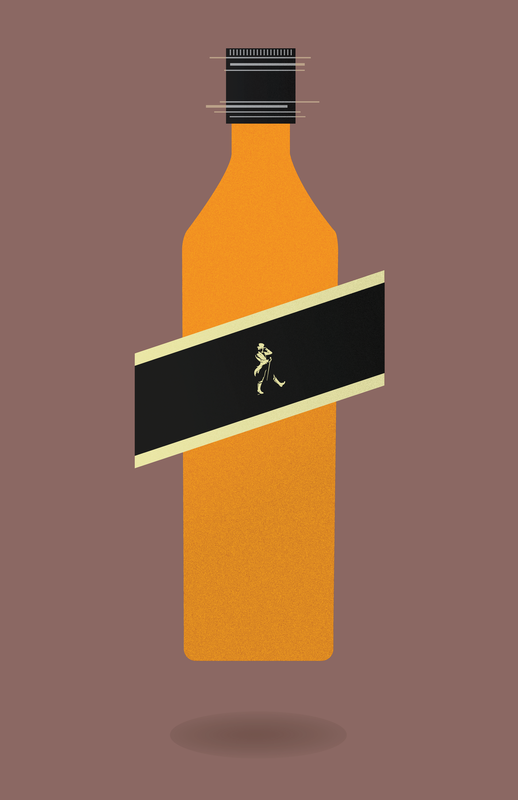 As a personal project I took to illustrating iconic bottles in a slightly abstract way without their branding. As a continuing effort I love to show the process of my work. I started illustrating tortoise shell glasses through experimenting with Illustrator’s various effects. I found the process fun to document and made a project of it. Blue Bird is an in-the-works app focused on young-adults at a primary learning level who suffer from speech issues. Those with Autism, Cerebral Palsy, Down Syndrome and Multiple Sclerosis can often have trouble with flow and rhythm in speech leading to frustration in academic and social situations. The abundance of speech apps are either tailored to young children or adults but at a higher learning level. Blue Bird focuses on improving rhythm in speech.